Looking for Farmers Market: the Atlanta Georgia (Forest Park) Farmer's Market - a Guide and Listing of Vendors in 2019? Scroll down this page and follow the links. And if you bring home some fruit or vegetables and want to can, freeze, make jam, salsa or pickles, see this page for simple, reliable, illustrated canning, freezing or preserving directions. There are plenty of other related resources, click on the resources dropdown above. 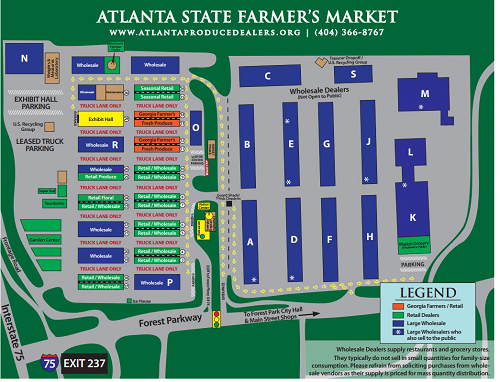 I think you'll find this is the best guide to the vendors at the Atlanta Farmer's market. This is the huge farmer's market in Georgia - a REAL farmer's market, with acres of stalls, to which the farmers bring truckloads of produce every morning. 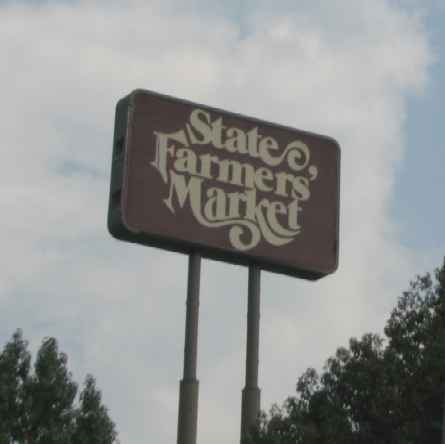 At 150 acres, and first opened in 1958, the Atlanta Market is considered one of the largest of its kind in the world. 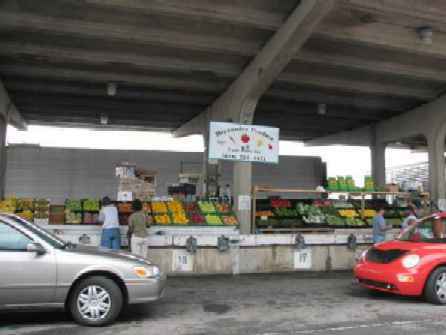 It has a garden center with a nursery, wholesale and retail sales, and is a major distribution point for fresh produce in the Southeast and throughout the country. The Forest Park Farmer's Market also has a restaurant, welcome center and USDA Federal-State office. If you are looking for Christmas trees at the Farmer's Market, click here for the list of vendors who are selling fresh cut Christmas trees and their phone numbers. Their prices are good but shop around and haggle; don't buy from the first stand you see, as prices vary greatly. I can usually get apples there for great prices. 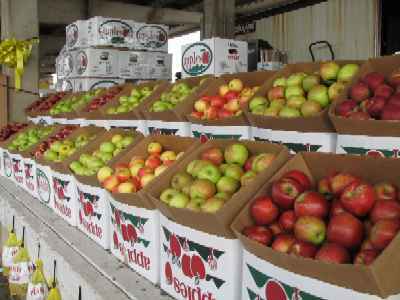 In mid October, 2017, I found several vendors with apples ranging from $14 to $28 a bushel. The $14/bushel apples were smaller sized Gala's - perfect for applesauce. Fuji's were typically $20 to $28 per bushel. Of course, prices change from week to week, due to weather, what's coming in, and market conditions. You can find almost any fruit or vegetable (in season) there. Examples are tomatoes, corn, okra, avocados, beets, oranges, grapefruit, peppers, grapes, muscadines, blueberries, strawberries, blackberries, raspberries, lettuce, carrots, cucumbers, etc. There are also butchers, nurseries, and other products. To get an idea of what is GENERALLY available when, see this page. Always call the vendor before you drive to the farmer's market, to be sure they will be open and have what you want (and at a price you want). If you are looking for a particular show at the farmer's market, such as ceramic or birds, see this page of exhibitions at the Farmer's Market! Once you drive in, drive straight back until it dead ends and turn left. You are now in the sheds area at the high number end of the sheds. As you can see from the map at right (click on it for a larger version), you are starting in the seasonal area and as you drive towards the front, you move into the produce areas. Any of these will sell to you. You can see the location of the exhibit all at the far left of the map. The nurseries with plants are toward the front along the same row as the exhibit hall. 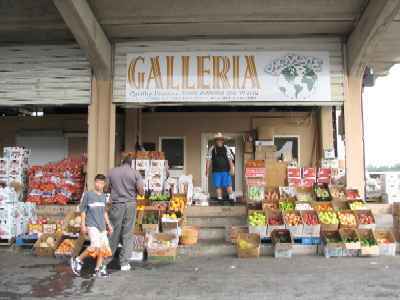 There are also indoor buildings with all kinds of prepared produce and items, like a huge variety of ethnic foods. Be sure to tell the vendors that you found them through this website - that will encourage them to give me current information! If you have any additional information or comments, please write me! and accurate information! If you have a stall at the farmer's market and want to be added or update your information, feel free to write me (click here) and I'll add you (no charge). Location: 16 Forest Pkwy, Forest Park, GA 30297. Phone: (404) 675-1782. (administrative offices, see the individual listings below) Email: [email protected] (Craig Neilsen). Open: While they are technically open 364 days a year (every day except Christmas Day), 24 hours per day, that does not mean that vendors are always there and open to sell anything in the stalls. Each vendor can set their own days and hours. 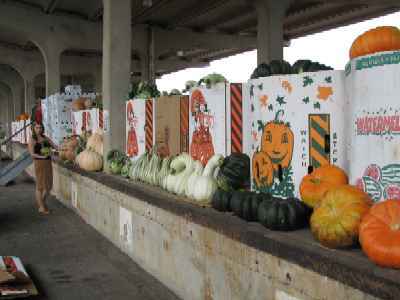 On the weekends, the vendors are typically only there from early (6:00 am) until Saturday at 12 noon, so get there early! Few are open at all on Sunday. During the week, they seem to be open from 6:00 am until 5 pm. Many of the vendors are open at 5:30 am! They are effectively closed on Sunday. The stalls area is always open; I'm giving you the times that farmers are actually there with their Produce; remember, they can set their own hours, different from the market facility itself. 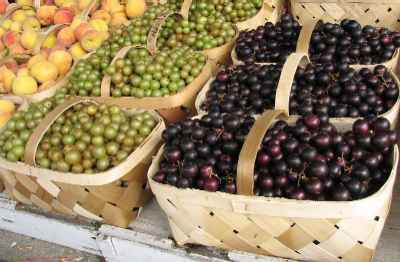 Click here for a free fact sheet about the farmer's market. Here is a Map of the farmers market facility, the layout, the building and shed numbers, etc. Prices: It appears as though the USDA is posting typical prices for the Atlanta area. They tell you the size of the box, bag or carton, then the price range (without dollar signs. For example, for Cameo apples in a bushel carton, it says: "Cameo 72s 26.00", which means $26 per bushel carton (a bushel is about 42 lbs). I believe "72s" refers to a size of the apple. See below for a list of vendors and their contact information so you can call and find out what they have BEFORE you drive all the way to the Forest Park. Their mailing addresses are their name, shed and stall number(s), and then: 16 Forest Parkway, Forest Park, GA 30297. Below, with photographs, are the vendors I've visited. I've spent several mornings driving and walking from stall to stall to get information about as many as I can; not all were open. If you want to recommend one or have a stall yourself; just use the Feedback form to email to details (the name, phone number shed and stall numbers and any photos, if you have them (camera phone photos are ok!). Following this list are those that I have not yet visited. Phone (404) 361-8066. Location at the Farmer's Market: Building G Units 15-21. Trevor Conkey. Phone: (404) 363-0009. Fax: (404) 363-8003. Email: [email protected]. Location at the farmer's market: : Building A Units 13-16. David Hickman. Phone: (404) 361-2224. Fax: (404) 361-2101. Email: [email protected]. Location at the Farmer's Market: Building C Units 5-8. Diana Earwood. Phone: (404) 361-2005. Fax: (404) 362-4679. Email: [email protected]. Location at the Farmer's Market: Building L Unit 2. Ronald A. Boatwright. Phone: (404) 366-2223. Fax: (404) 366-2026. Email: [email protected]. Jesus Brito. Phone: (404) 366-8459. Fax: (404) 361-0732. Email: [email protected]. Location: Building C Units 11-19. Products: carrying a complete line of Organic Fruits and Vegetables. Distributor for local sustainable and organic products (dairy, cheese, meats, desserts, baby food and more). El Jarocho, Inc. - Large Wholesaler. Products: House ware, Cleaning Supplies and Hot Peppers. Faye Mills. Phone: (404) 361-4222. 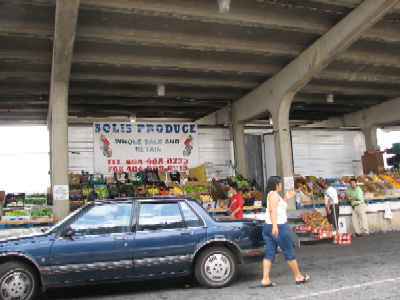 Location: Shed 35 A-E.
Products: GA Fruits & vegetables, seasonal items. Tom Oswald. Phone: (404) 234-0453. Fax: (404) 921-9656. Email: [email protected]. Products: Dry Goods, Grocery items. imported baskets. Paper, plastic, cello and shrink bags. Chris Perez, Israel Perez. Phone: (404) 936-7418. or 404-643-5345. 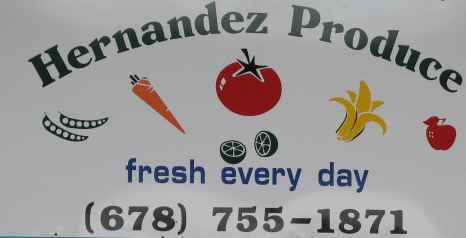 Products: Full line of fresh fruits and vegetables. 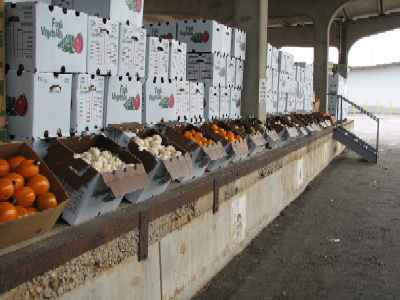 Products: Full line Fruits, vegetables. Larry Brewer. Phone: (404) 574-0707. Fax: (404) 761-5538. Email: [email protected]. Location in the Farmer's Market: Fence line, south side of market. They aren't kidding! 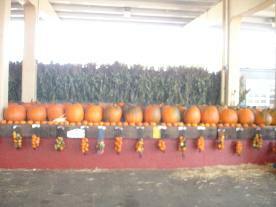 They've got more pumpkins (in season - September and October) than you can imagine; all shapes, types, colors and sizes! Shed 18, Stalls 1 to 12 (the last shed back facing Forest Parkway), on the back row. Products: Flowers, Vegetable Plants & Shrubs. Jorge Romero. Phone: (678) 789-42796. Fax: (404) 389-0071. Email: [email protected]. 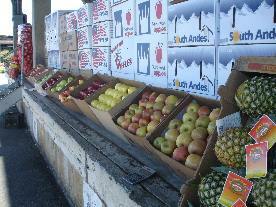 Products: Full line of fruits & vegetables. They have great prices on apples, and also had loads of other fruit and vegetables, too! Products: Mixed Fruits & Vegetables. chicken, eggs, full line produce. Products: Hostas, daylilies, ground cover. Richard Levine. Phone: (404) 362-9390. Fax: (404) 608-0231. Email: [email protected]. Location in the Farmer's Market: Building G Units 1-7. Phone: (404) 363-1932. Fax: (404) 363-1455. Email: [email protected]. Sutherland's/Sonny East Produce - Large Wholesaler, Food Service. Products: Full line of produce..
Antonio Bautista. Phone: (813) 716-4088. Email: [email protected]. 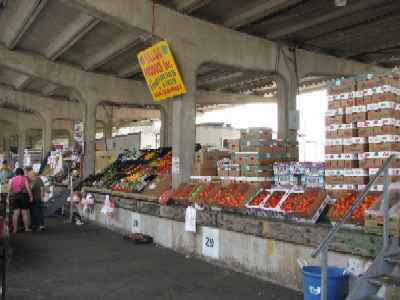 Location in the Farmer's Market: Shed 25 Stalls 1-12. Products: Tomatoes. Lola or David Grizzard. Phone: (404) 366-7400. Location: Shed 24 Stalls 1-3. Peggy Mattox. Phone: (770) 757-6324. Location: Shed 34 E,F. Trudy Williams. Phone: (404) 366-6413, (404) 366-2889, 1-800-631-6950. Fax: (404) 366-6413. Location: Building 24 Units 4-7. David Rivers. Phone: (404) 361-6952. Location: Unit 36 F,G. Bill Silvers. Phone: 404-402-6452. Fax: (770) 922-1198. Email: [email protected]. Location at the farmer's market: : Shed 34 A-AA. shrubs, pine straw. P/U or delivery. I'm still checking on the vendors in this section. I cannot reach them by phone. Shed 20, Stalls 1 to 4. Friendly folks, always have a smile! Or email them at [email protected]. 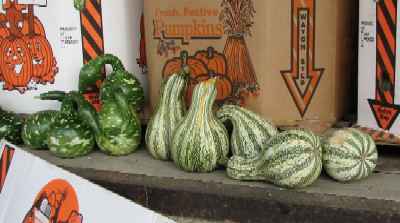 Nice folks with loads of pumpkins, gourds, plain and decorated! Don't let the "wholesale" in the name stop you; they sell retail, too, and have some of the best prices I've found at the Farmer's Market. You will find them right near where you enter the stalls area, at Shed 9, Stall 1 to 16. They have a wide selection and very good produce! 16 Forest Parkway Building D unit 1-7, Forest Park, GA 30297. Phone: 404-362-9390. Fax: 4046080231. Email: [email protected]. Open: Click here for current open hours, days and dates. Directions: Click here for a map and directions. Payment: Cash, Check, Debit cards, Visa/MasterCard, Discover, AmEx. Click here for our Facebook page. The highlighted entries are being verified - I think they closed. If you know anything about them, please click here to write me! Not all of the vendors are outside in the sheds or "stalls" . 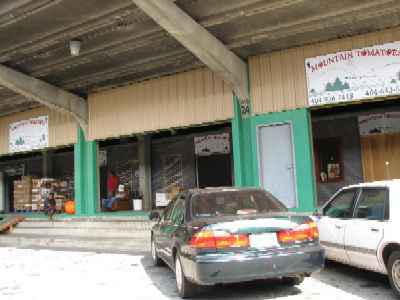 Some have their shops inside various buildings at the farmer's market. Typically, they may also sell goods that need to be kept refrigerated or frozen or more protected from the elements. On my next trip, I'll try to visit, photograph and gather more information about what they sell. If anyone has any information about these vendors (what they have to sell, prices, etc. ), please email me! 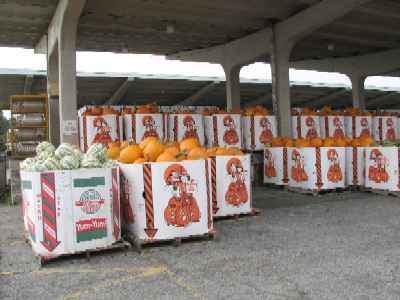 Hatcher Produce Co., Inc. - GA Fruits & vegetables, seasonal items. We also sell fresh shelled peas and butter beans. Sunbelt Produce, unit 7 - 12. Phone: 404-366-1706. 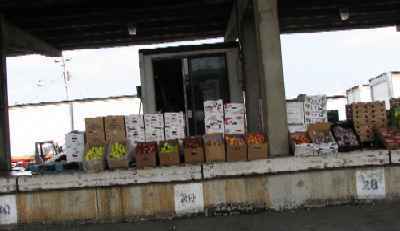 General Produce, unit 1 - 5, 20 - 26. Phone: 404-366-8367. John Davis Produce, unit 1 - 4. Phone: 404-366-0150. Atlanta Tomato, unit 5 - 8. Phone: 404-361-2224. All-Pro Produce, unit 9, 10. Phone: 404-363-0515. Brito Produce, unit 11 - 19. Phone: 404-366-8459. 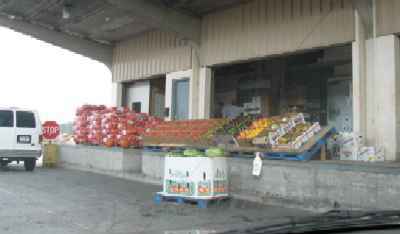 DelMonte Produce, unit 1 - 17. Phone: 404-366-6530. Alexander Produce, unit 18 - 26. Phone: 404-366-3170. Destiny Produce LLC - Greens, lettuce, citrus, organic fruits and vegetables. 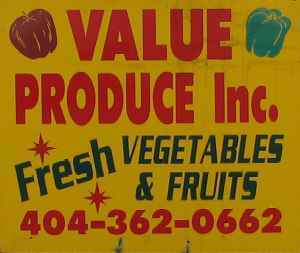 Produce Exchange of Atlanta, Inc. , unit 14 - 19. Phone: 404-606-0101. Email: [email protected]. Fax: (404) 608-0401. Email: [email protected]. Fidelity Produce, unit 11 - 20. Phone: 404-366-8445. Chautat(?) Produce, unit 21. Phone: 404-366-6364. LR Produce, unit 4 - 7. Phone: 404-392-5046. Southern Fruit & Veg, unit 8 - 10. Phone: 404-362-9390. Collins Brothers, unit 11 - 14. Phone: 404-363-4710. 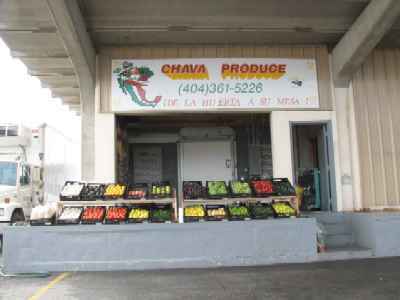 Atl Produce Sales, unit 15 - 21. Phone: 404-361-8086. Market Grocery Company - Dry Goods, Grocery items. Sutherland's/Sonny East Produce - Full line of produce. 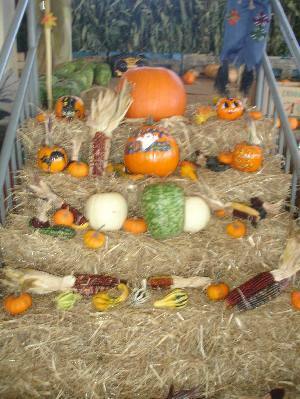 Taylor farms, Inc. Phone: 404-361-1533. Market Service Center. Phone: 404-366-7410. D & T Trucking. Phone: 404-361-4253.